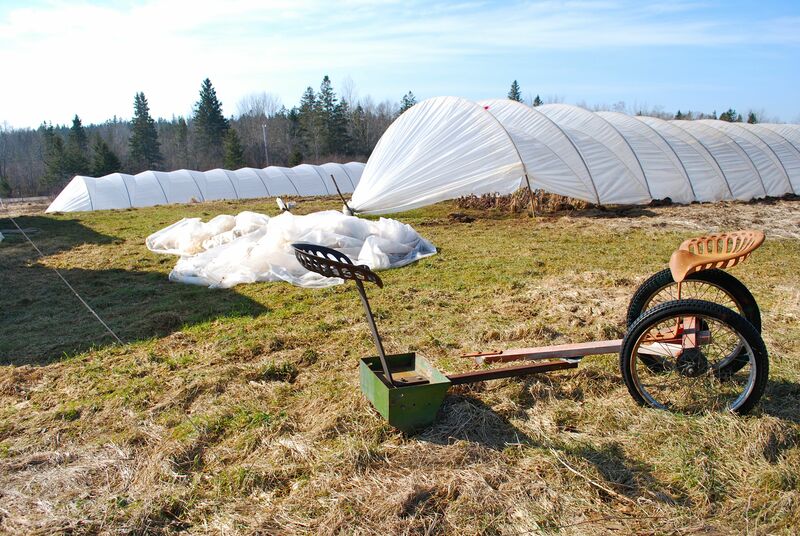 On March 12, David and Bruce covered modified Hanley hoop house #2. This entry was posted in growing vegetables, season extension, Uncategorized and tagged Hanley Hoop House, Nova Scotia season extension. Bookmark the permalink.